If I was a sales rep for Language Garden, I swear I’d have fired myself. I’ve talked myself out of sales of the current resource I have as I’ve raved about a brave new world where everyone, teachers and learners alike, not just me, makes their own language plants, to suit their own needs, and share with friends and strangers – or as we like to call them, friends we’ve yet to meet 😉 . Plants of the people, by the people, for the people. Well, stage 1 is here, and I’d like to propose a blog challenge. It’s simple enough: make your own word art – a language plant, a mind map or word cloud using the new language plant maker. Seeing as there seems to be a large dogme contingent, how about an activity from Teaching Unplugged, “The lesson that was”? You just have to record language highlights from a lesson or activity that has already happened, a post-plan. I’ve done it, it’s the word cloud at the start of this blog. Click this link, the language plant maker. If you need to install Silverlight, please do so. Most of you should have it already. Click on the screen and type in a word. To change the angle, click and drag the first or last letter of the word. To bend or resize the word, click and drag on the two circles. To change the colour of the word, you’ve got to click on the Bend circle first. Finally, if a word goes haywire, just press delete on your keyboard and start again. When you’re ready, and not before because the screen clears afterwards, click “Save as…” and give it a name. That’s yours now, forever, and all subsequent ones you make. If you’re happy to share, and of course we all hope you are, please publish it on your blog. Any discourse, comments, feelings you have and such, these are optional but most welcome too. The tool is designed for you and your learners to use – easy and intuitive – that’s our mantra, my developer and I, either before or after a lesson, or better still, actually in class. I’m imagining your young learners fainting with excitement when you tell them to make a word cloud for ten minutes in groups and then present it to the others. Or for homework. It’s not perfect yet, not by a long chalk, but it’s useable. My developer, he works full-time for someone else and does my development in his free time, he’s now got a month’s break from Language Garden to recharge his batteries. He’s dreading coming back. He thinks you’ll have all given me loads of new ideas. I hope so. Love it! Thanks so much for sharing this – very much enjoyed playing with this in the ten minutes I had spare today. Took me a little while to get the hang of deleting words and moving them etc… and my first attempt is definitely not up to your standard but still great fun! Thanks Anna, this is the type of feedback I’m after. Any thoughts about how to make it more intuitive – that word again – most welcome. This is not the end, it is not even the beginning of the end, but I’m hoping it is the end of the beginning! I might have a go at doing that one! I’ve just had a fun half hour experimenting with the ‘plant grower’ – hats off to you sir! It’s great to be able to play around with phrases, sentences and classroom language in this way. As with Anna, it took me a little while to get the hang of bending and moving words but a big part of the fun of these tools is the experimentation/learning process. A small suggestion that would aid the learning curve – would it be possible to include an ‘undo’ option? I could have used it a couple of times! Hi Dave, thanks for using, and for your feedback. A great idea. The lists grows. We’ll see what we can do. Noted. Sorry Richard, this is something I will want to get fixed asap. Thank you for your interest, I hope you can hold on. Will do my best to sort this out, Amy. Very sorry, thank you for letting me know, and your enthusiam to try it out. I’ve enjoyed using them immensely and am delighted to be playing with the new tool. Thanks so much for sharing your wonderful idea! I have just posted my answer to your fab blog challenge! I had great fun doing all my practice runs and I can see there is so much potential in this wonderful tool you have created. 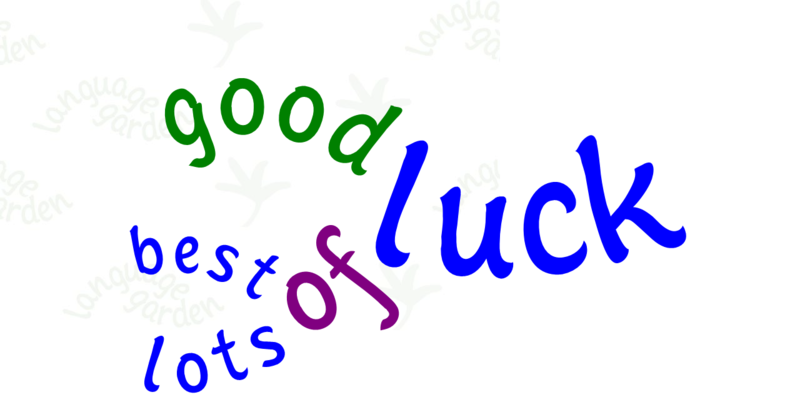 Many thanks for all your encouragement, and best of luck with the development of your beautiful Language Plant Maker! Thank you very much for sharing your brilliant idea! What a fantastic read! Thoroughly enjoyed it. Purrfect, as some little soul might say. Love it, Chiew, integrating the two art forms. I think it’s beautiful. Thanks so much for creating such a great tool! I have made my language plant on my blog too, as you have seen, and I will be using it a lot in the future as well! This is a great new resource, I’m looking forward to using it with my students as soon as I can. Thanks for all your inspiring hard work on this, David! 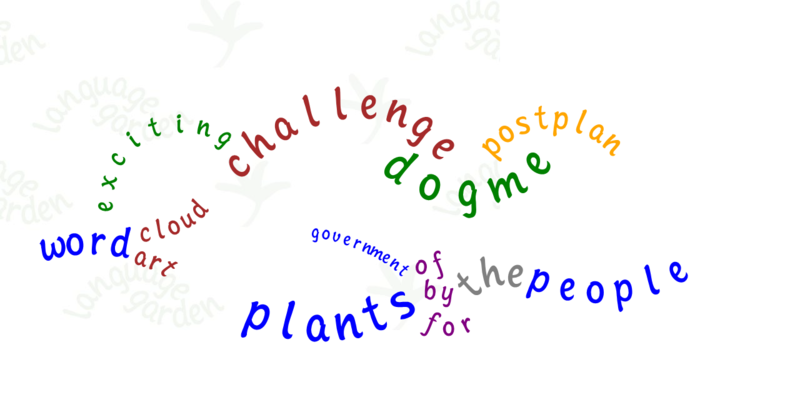 You are currently reading A Word Cloud Blog Challenge at language garden.